Looking for a family friendly Halloween event to go to tomorrow? 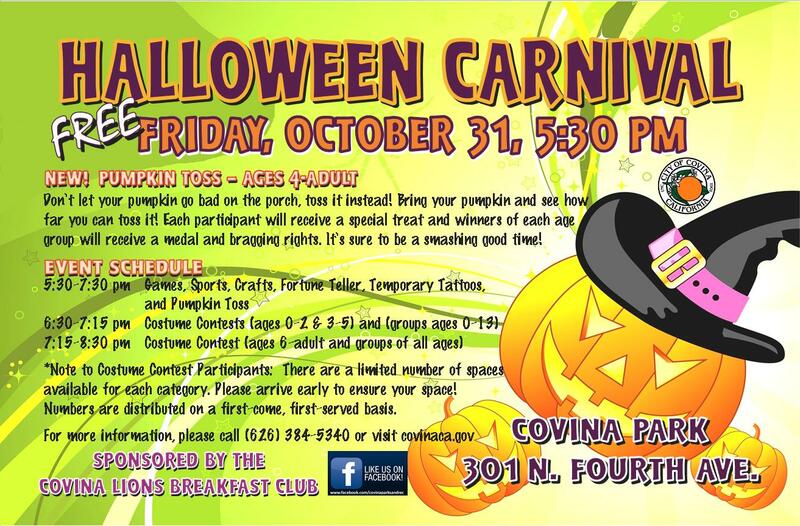 Covina’s Halloween Carnival is at Covina Park tomorrow starting at 5:30pm. Its FREE fun for the whole family! Remember to take pics and tag #CovinaResidents on Instagram! Covina CA House for Sale! 3 Bedrooms 2 baths, just walking distance to Downtown Covina. This entry was posted in Uncategorized and tagged Covina, Covina California, Covina Resident, Things to do around Covina CA by Yesenia Ruvalcaba-Garcia. Bookmark the permalink.